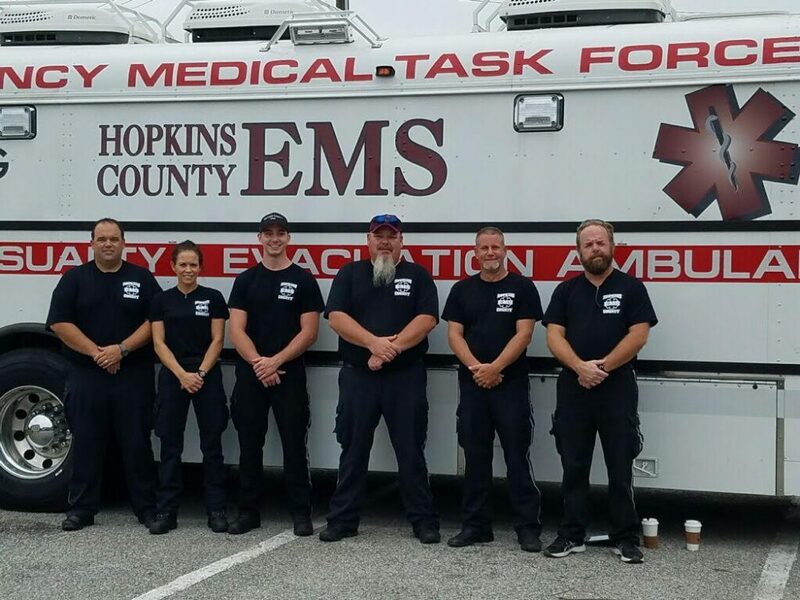 Jeff Sanderson, Shift Captain for Hopkins County EMS, Said this is his fourth deployment to a potential disaster area due to hurricanes. He said once they arrive on location, they will be deployed to the area needed. He stated he has no expectations before arrival but will be ready for whatever service is needed. He does expect a lot of water. Left to right: Brent Smith, Tabitha Vaught, Justin Sanders, Jeff Sanderson, Cory Coker, and Mark Neel prepare to deploy to South Texas. Staging will begin in San Antonio where the local crew will awaiting further instructions. A total of three (3) AMBUSes including the Hopkins County AMBUS and two (2) stationed in Dallas will be joining two (2) other AMBUSes at San Antonio at the AT&T Center, home for Spurs basketball. Other Strike Teams are being deployed from all over the state. A five (5) day deployment is expected as some computer models show the possibility of over 40-inches of rain for South Texas. 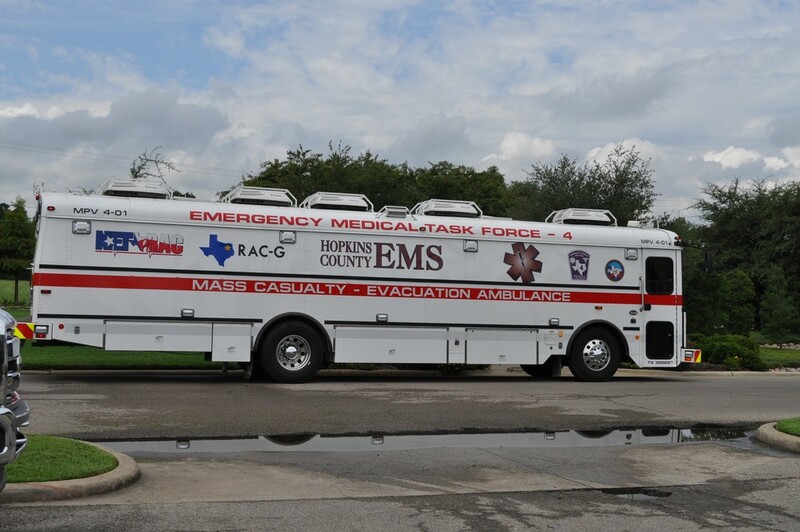 The AMBUS will have a variety of responsibilities including evacuating nursing homes and hospitals as well as disaster situations.